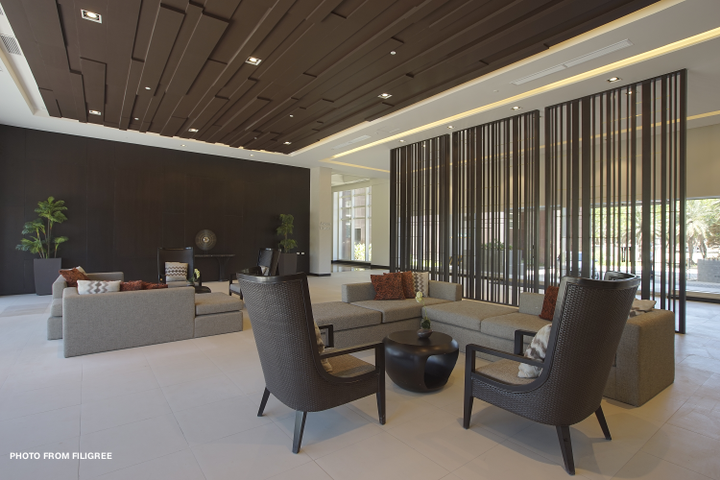 The 1,500-square meter clubhouse at The Enclave Alabang features a contemporary resort-like design to promote relaxation. Metro Manila (CNN Philippines, July 11) — Luxury real estate brand Filigree continues to raise the bar in the discriminating segment of the property market, winning two prestigious honors from the recent Asia Pacific Property Awards 2018. 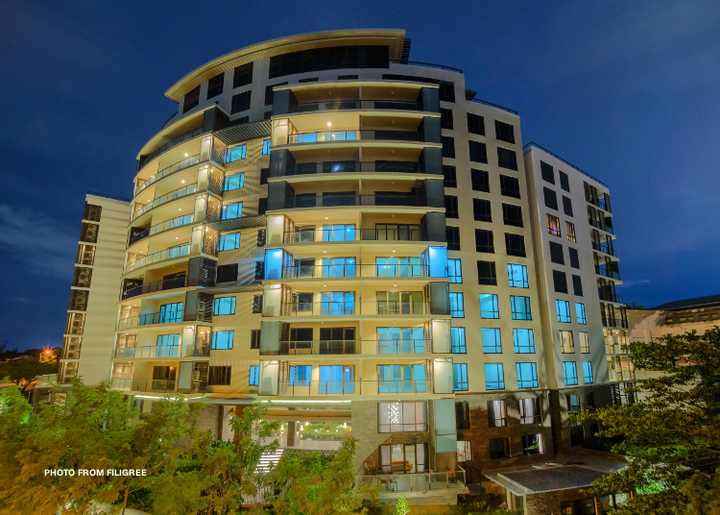 Filigree’s The Enclave Alabang, its first horizontal project, received the Best Residential Development of the Philippines Award, while Botanika Nature Residences, one of its upscale condominium developments, was given the Best Apartment Philippines Award with five star rating. The two development projects were chosen for the coveted international awards by 80 industry experts. The annual Asia Pacific Property Awards celebrate the highest levels of achievement by companies in all sectors of the property and real estate industry. For the new and dynamic Filigree brand, the honors affirmed its exceptional accomplishment of redefining modern luxury, from conceptualization to completion and beyond. Filigree sets the highest levels of craftsmanship and quality for the two projects, giving much attention to detail from construction down to delivery and property management. The extensive amenities and features that come with each unit also point to the premium quality of the projects. Located in prime locations, The Enclave Alabang and Botanika Nature Residences are attractive real estate investments that are already enjoying rising property values. In Filinvest City, Alabang, property values have risen by 248 percent between 2012 and 2017. The 13-hectare master-planned, exclusive, green-oriented The Enclave Alabang is in a quiet, secluded section of Daang Hari Road. It sets the pace in upscale community living with its sought-after prime location, tropical modern design that complements its lush greenery, and the close-knit neighborhood. The project is a collaboration among H1 Architecture as masterplanners, Budji+Royal Architecture+Design as interior designers, and AECOM as landscape architects. Botanika Nature Residences is set amidst lush greeneries at the most quiet portion of Filinvest City, Alabang. Meanwhile, the Botanika Nature Residences can now claim to be at par with the world’s high-end, green-oriented residential towers. This is because of the awards it has received, specifically the Asia Pacific Property award and the three-star Building for Ecologically Responsive Design Excellence (BERDE) rating for design from the Philippine Green Building Council. Its forward-looking architectural design is the brainchild of Architecture International and Leandro V. Locsin Partners. The project boasts of first-class amenities and offers well-appointed condominium units: two-bedroom suites, three-bedroom flats, three-bedroom Garden Bi-level units, five-bedroom Garden Bi-level units, and a grand penthouse, providing excellent views of the Filinvest City skyline and the green expanse beyond. Bristol at Parkway Place boasts of an elegant main lobby that complements its luxurious modern architecture. Also under Filigree’s brand is the 40-story Bristol at Parkway Place, which exemplifies the charm of modern life. Located at the marquee address of Corporate corner Parkway Avenues in Filinvest City, Alabang, Bristol lets residents live a comfortable life as everything is within reach-shopping, dining, leisure and relaxation. Amenities are adapted to the lifestyle of its residents. The Beaufort, meanwhile, is a dramatic, two-tower, world-class condominium that has become a landmark in the Bonifacio Global City. 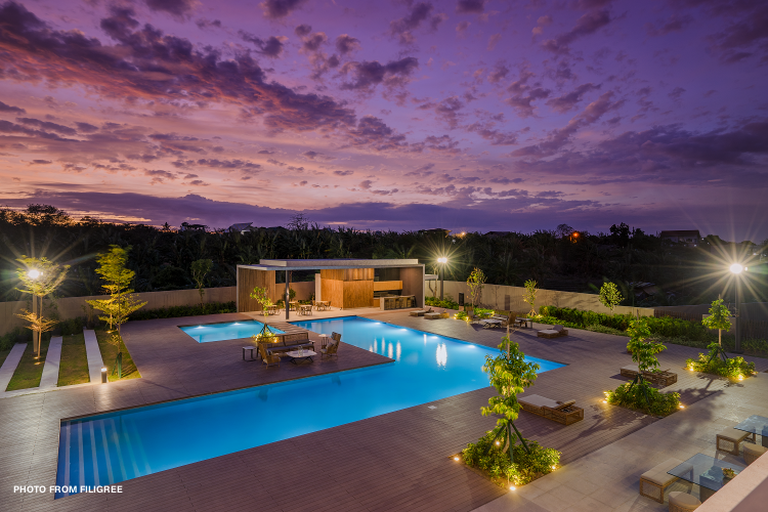 It offers residents a breathtaking view of the fairways and greens of Manila Golf and embodies many people’s desire for a luxurious home of quiet elegance. Each floor has only four units, promising utmost privacy. “The recognition from the prestigious Asia Pacific Property Awards is a confirmation that the direction we’ve set forth for Filigree properties is indeed world-class,” says Kate Ilagan, Filigree head. “This serves to inspire all of us who were behind these projects, and we intend to continue this level of excellence across all our luxury developments.” With the recognition Filigree continues to receive here and abroad, it can rightfully claim to be the new benchmark, the gold standard, in luxury real estate.